The Spies Of Warsaw is one of a number of UK shows that will be coming to Australian TV in 2013. The programmes were announced at the BBC Worldwide Australasia Programming Launch held last night in Waterloo, Sydney. Spies of Warsaw was just one of the titles announced; other programmes includeDancing on the Edge, DCI Banks, Hidden, Miranda, Trollied, Doctor Who 50th Anniversary, Emmerdale, Eastenders, Coronation Street and Hollyoaks. The event was also attended by directors Jane Campion and Garth Davis, who presented their new drama for UKTV Top Of The Lake and comedians Watson and Oliver whose sketch show will premiere in January. Top Gear will be showing on BBC Knowledge a week after its UK premiere and new titles will be coming to CBeebies. David Tennant has made a guest appearance as Spitelout in the animated series Dreamworks Dragons: Riders Of Berk. The TV show is a spin-off of the 2010 film How To Train Your Dragon in which David also voiced Spitelout. The film and TV series are inspired by the Hiccup Horrendous Haddock III novels by Cressida Cowell. A sequel to the movie is due in 2014. 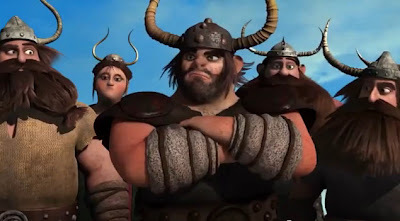 David's role is not a regular one so it is not know whether his character will return; however he does appear to be the father of Hiccup's main rival Snotlout. 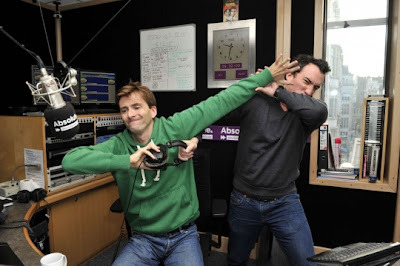 David Tennant will be joining Christian O'Connell to co-host the last Absolute Radio Breakfast Show of 2012 on Friday 21st December. Christian has tweeted that the show will be an 'Alternative Nativity' with a script created by his followers on Twitter. There will also be a live audience and places can be won in competitions on the Breakfast Show starting from next week. Listen to the Absolute Radio Breakfast Show on 105.8 FM in London and the South-East, nationally via DAB, Sky, cable or Freeview on online at www.absoluteradio.co.uk from 6am on weekdays. 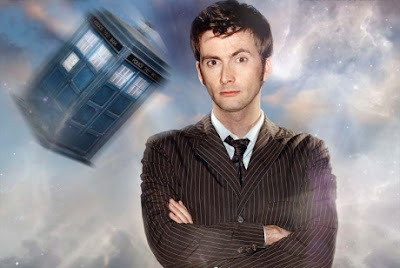 David Tennant has once again provided the voice over for an advert for the ScottishSPCA animal charity. Click here to donate to our fundraiser. As we revealed on Monday, David's latest film, Nativty 2 Danger In The Manger, had a brilliant opening weekend at the UK Box Office. It is No.3 in the charts and was the UK's best selling opening release of the weekend. This information comes from The Big Issue's office manager, Robert White. The final episode of Series 1 of Tree Fu Tom airs today on CBeebies. Watch as Tom (Sophie Aldred) and Twigs (David Tennant) call on their young audience to help them see off the latest danger to threaten Treetopolis. The Lost Stone A calm, quiet pond creature becomes a titanic cause of trouble for Tom and friends when it accidentally absorbs Tom's sapstone. How will Tom cope without his magic powers? He need lots of Big World Magic help to find a way to save the day and undo his unfortunate accident. 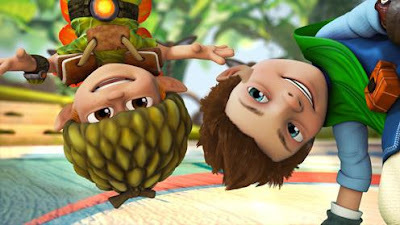 Work has already begun on a second series of Tree Fu Tom, due in 2013.Click here for more information about the show. The Dreamworks animated move How To Train Your Dragon will be one of the BBC's Christmas TV treats this year. The BBC Media Centre published details of their Christmas highlights yesterday. This will be the terrestrial TV première of the film, which has shown in the UK previously only on Sky. 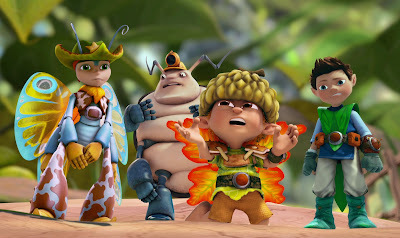 The 2010 movie was adapted from the novel by Cressida Cowell and features the voices of Jay Baruchel, Gerard Butler and Christopher Mintz-Plasse. 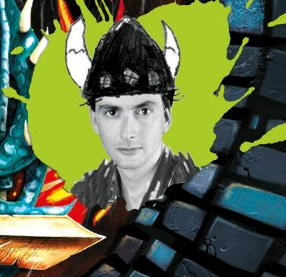 David Tennant has a brief role as a Viking called Spitelout. David is the narrator of the 'How To Train Your Dragon' series of audiobooks. Find out more here. Detailed schedules for Christmas on the BBC will be published on the 5th December. Visit iTunes for more details. Don't forget to tune in to CBeebies this afternoon for another brand new episode of Tree Fu Tom starring David Tennant and Sophie Aldred. Tree Fu Tom: Tiny Tom Tom has to tackle titanic troubles in Treetopolis as he is accidentally shrunk to the size of Twigs' toes! Tom faces the biggest challenge of his time in Treetopolis, trying to find a way to get back to his normal size in the midst of Musha mischief. Tiny Tom needs Big World Magic help from the audience more than ever. Watch Tree Fu Tom at 5.25pm on CBeebies. 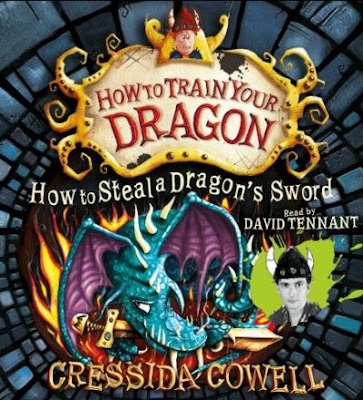 The Book Depository are now taking pre-orders on their UK site for the ninth audiobook in the Cressida Cowell How To Train Your Dragon series. How To Steal A Dragon's Sword was originally due for release in July but was postponed after David Tennant's workload meant that he had not been able to schedule in a recording date - he was still waiting for a date as recently as September. David has narrated all of the audiobooks in the series so far. The Book Depository now give a new release date of 1st October 2013. Congratulations are in order for the cast and crew of the frankly excellent Nativity 2: Danger In The Manger! The film, which opened across the UK and Ireland on Friday, has taken £1.6m in it's first weekend, that's double what the first Nativity! took in it's opening weekend. It is also at No. 3 in the UK Box Office Charts behind the hugely popular Skyfall and Twilight: Breaking Dawn Part 2. Nativity 2 Danger In The Manger is out in cinemas now! 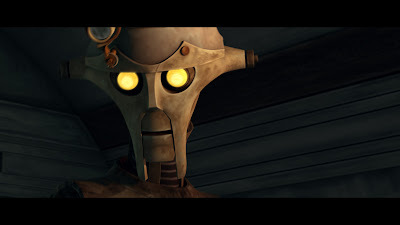 The Star Wars The Clone Wars website have released an excellent featurette about the creation of DavidTennant's character Huyang. David Tennant was on T4 Watch yesterday morning to chat about his new film Nativity 2 Danger In The Manger. 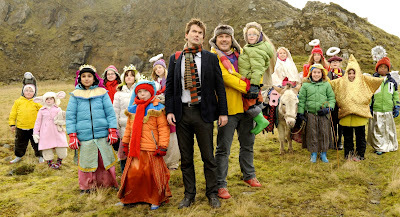 You can watch the interview below and Nativity2 Danger In The Manger is out in cinemas across the UK and Ireland now. 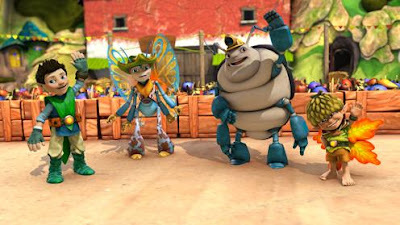 New episodes of Tree Fu Tom - the last three of the first series - will be shown from today on CBeebies. Zigzoo invents a weather machine to create perfect conditions for each of his friends and catastrophe ensues when he tries to keep everyone happy. Whether it's hot, cold, icy or back to normal, Zigzoo can't seem to please anyone for long. Tom needs Big World Magic help from the audience to overcome the weather condition chaos caused by his ever more insistent friends. To top it all, he also has to take care of the precious classroom plant that Treetog has entrusted to him! 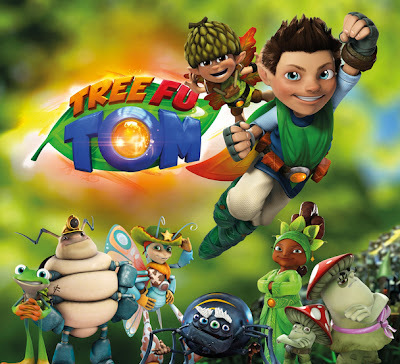 Tree Fu Tom follows the adventures of hero Tom, played by Sophie Aldred, and his best friend Twigs, voiced by David Tennant. Watch Tree Fu Tom at 5.25pm on weekdays. 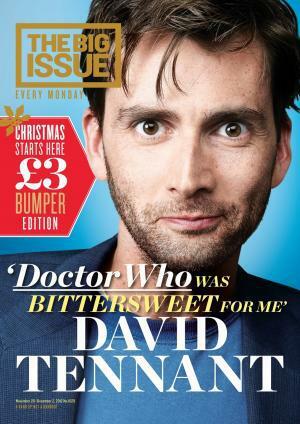 David Tennant is interviewed in the new Big Issue magazine which goes on sale from today. The magazine, intended to provide a regular and legitimate income for homeless people, is available from licensed street vendors in the UK. In the magazine David talks about his new film Nativity 2: Danger In The Manger, about politics and about leaving Doctor Who. “You might have real success doing something else, you’ll work on other things, but whatever happens, this is unique. There’s nothing else like Doctor Who. In the world,” he says. The first bumper Christmas edition of the magazine is available from your local vendor at a price of £3. 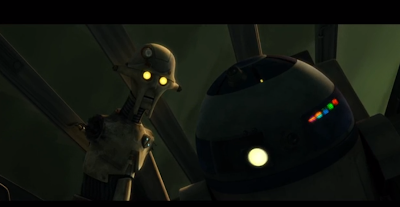 David Tennant's appearance in Star Wars: The Clone Wars continues today, Saturday 24th November, with the episode, A Necessary Bond. Tune in to the Cartoon Network (USA) from 09.30am to see all the action! About the episode:"Choose your enemies wisely, as they may be your last hope." Watch David Tennant chatting to STV's Moviejuice about his new film Nativity 2 Danger In The Manger in the player below. Nativity 2 Danger In The Manger is out in cinemas now! We're giving one lucky reader the chance to win a pair of tickets to watch a screening of David Tennant's new film Nativity 2 Danger In The Manger at a UK cinema of their choice. What is the name of the teaching assistant in played by Marc Wootton in the Nativity films? 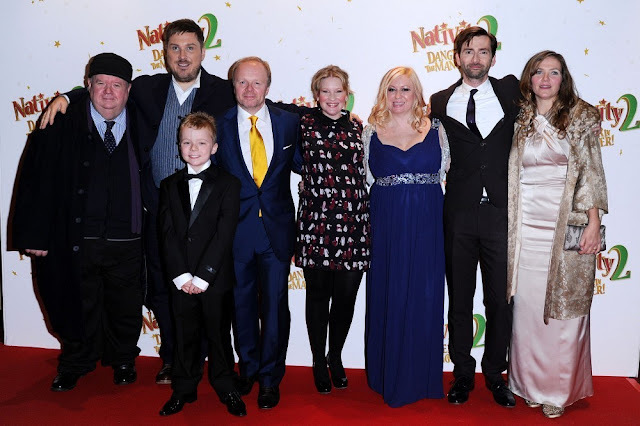 Joanna Page was a guest on ITV1's This Morning earlier today, she chatted about her role in Nativity 2 Danger In The Manger and a couple of clips from the film were shown including a new one of David Tennant abseiling down a mountain! David Tennant Tells Big Issue "I'll Be Proud Of Doctor Who Forever"
Nothing will ever match up to being the Doctor, David Tennant has told The Big Issue.Speaking to the magazine ahead of the release of his Christmas movie Nativity 2: Danger in the Manger, the Scottish star said that when he left Doctor Who he was well aware that the experience was irreplaceable.“You might have real success doing something else, you’ll work on other things, but whatever happens, this is unique. There’s nothing else like Doctor Who. In the world,” he said.In the exclusive interview, the normally publicity shy actor also reveals his exasperation with Tory voters and holds forth on Scottish nationalism.Read it ONLY in The Big Issue’s first bumper Christmas magazine of 2012, out on Monday. 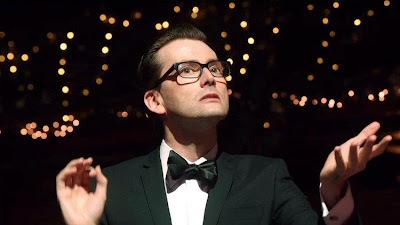 Here's another great clip of David Tennant's new film Nativity 2 Danger In The Manger! The film is released in cinemas today across the UK & Ireland. Book your tickets here. David Tennant has been chatting to Digital Spy ahead of today's release of his new film Nativity 2 Danger In The Manger. "I watched [the original] and thought, 'There is something really special about this', something really direct and big-hearted, It has a kind of wonderful naivety to it, which you don't see enough of, and I thought that was something worth being involved in." He went on to discuss the experience of playing the two roles, which were developed – as was the entire film - on an improvised basis with no set script. "How often do you get to do something quite so camp?" he joked. "But because it's improvised, there's no dialogue written down, and that can be difficult in a scene where the brothers meet. "It was great in terms of preparation... you just turn up and hope for the best. But it was a white-knuckle ride very day, because you don't know where it's going to go." Happy 49th Anniversary to Doctor Who! To celebrate this momentous occassion SFX have a rather brilliant article where eleven of the best Doctor Who writers chat about the eleven Doctors.. brill! 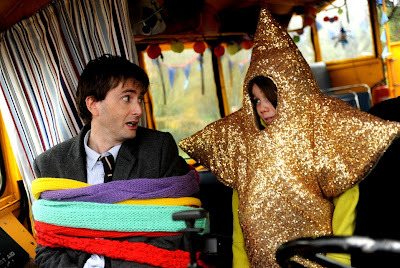 Quick reminder that David Tennant's latest film, Nativity 2! Danger In The Manger, will be reviewed on Kermode and Mayo's Film Review on BBC Radio 5 Live this afternoon, some time between 2.00pm and 4.00pm. Visit Kermode and Mayo's website to listen live here. Nativity2! Danger In The Manger is released in cinemas across the UK and Ireland today! David talks to Newsround presenter Joe about how he spent some time in a real school to help him play the part of Mr Peterson in Nativity 2 Danger In The Manger.Watch Joe's interview with David Tennant, Joanna Page and Marc Wootton - plus one of the young stars who's returned from the first film. Watch a preview of David's STV Moviejuice interview here! 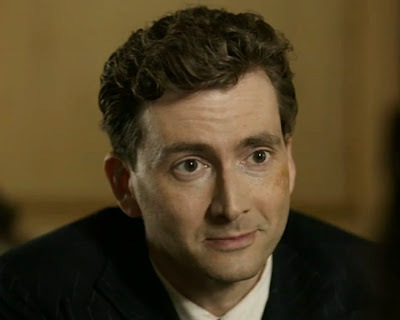 Scottish actor David Tennant was interviewed by Grant Lauchlan for tonight’s episode of Moviejuice – and was notably effusive when talking about a return to his most famous role. David was on the show to discuss his appearance in festive family movie Nativity 2, which is out in cinemas today – but it was only a matter of time before the subject of the Doctor came up. Unwrapping some Scottish tablet that Grant had taken along to the interview, David replied: “Why would you think, even if I had an answer to that question – which I don’t – why do you think I would answer it? Nativity 2 Danger In The Manger! Released In Cinemas Today! It's the day we've all been waiting for as David Tennant's new film, Nativity 2 Danger In The Manger! is released across the UK and Ireland today! Make sure that you have your tickets ready and book online here. CBeebies, Plug-In Media and Blue Zoo have won the Multi-Platform category for Tree Fu Tom at the British Interactive Media Association awards tonight. The awards, announced at Bankside Vaults, Blackfriars this evening celebrate the best in UK digital media. Tree Fu Tom was produced by CBeebies and Fremantle Media Entertainment and animated by Blue Zoo. The Tree Fu Tom website was created by Plug-In Media and includes games, songs and downloads. The series stars Sophie Aldred and David Tennant in the roles of Tom and his sidekick Twigs. Sophie Aldred confirmed at a signing event in Manchester at the weekend that work had already started on the second series of Tree Fu Tom, due in 2013. Find out what got Nativity 2 Danger In The Manger stars David Tennant and Joanna Page laughing in this great video from Magic FM! Check out our exclusive new (and very cute!) 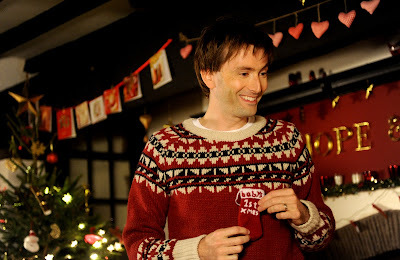 photo of David Tennant in his new film Nativity 2 Danger In The Manger! Don't forget that it's out tomorrow - book your tickets now here! Watch the Nativity 2 Danger In The Manger section of last night's Film 2012 below. 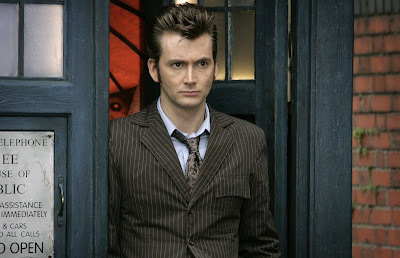 The video also includes brief interviews with David Tennant, Debbie Isitt, Marc Wootton, Jessica Hynes and Joanna Page. The cuddly Pudsey Bear toy signed by David Tennant and auctioned by Children In Need has sold for £720 raising much needed funds for the charity.